Cryptographic Strength. Performance. Ease of Use. Mission-critical Network Encryption to Secure Communications for governments, financial institutions, and corporations—where risk to critical information is unacceptable. Phone, fax, and data Network Encryption and Secure Communications solutions protect intellectual property, corporate assets and business sensitive information. 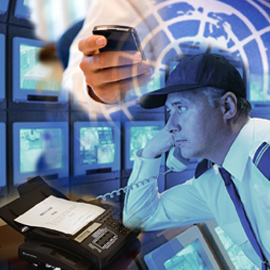 Secure Communications are vital for Homeland Security, first responders and other field operators. No matter the terrain or location, TCC Secure Communications & Network Encryption products deliver. 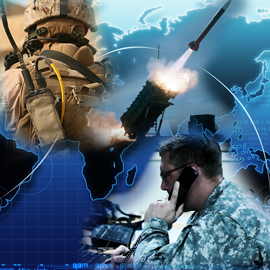 Offering superior-grade Network Encryption for Secure Communications of military and commercial telephone networks, commander's networks, missile firing systems, and other highly sensitive, tactical, command and control applications. TCC expands its Military and Law Enforcement DSP 9000, HSE 6000 LMR Voice Security product line with the addition of the HSE 6000 SEAL intercom voice encryptor. The HSE 6000 SEAL (Sea, Air, Land) is a Multi-Force, Multi-Platform, Rapid Response and Deployment COMSEC device for both vehicle and dismounted tactical operations. The SEAL builds upon the very successful DSP 9000 and the HSE 6000 LMR (Land Mobile Radio) End-to-End voice encryption technology, maintaining the 9000 robust performance as well as the LMR simplicity of use. 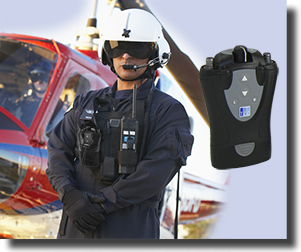 The HSE 6000 SEAL is a Body-Worn, Vest-Mounted, Battery-Powered, Small and Light in-line voice security device purposefully designed to seamlessly integrate with Naval, Airborne and Ground Intercom Systems (ICS). Connecting directly between the crew helmet and the ICS, the SEAL adds support for binaural (stereo) earphones, ICS MIC pass-through, battery safety bypass, and Type 1-like Cipher Transmission START/END audio notifications. The SEAL has been tested on many aircraft, including Aérospatiale SA330 Puma, AgustaWestland AW139, Bell 407, Boeing AH-64 (D/E) Apache and CH-47 Chinook, Eurocopter AS565 Panther and AS332 Super Puma, Sikorsky UH-60 Blackhawk, and MIL MI-17 and MI-28 helicopters. 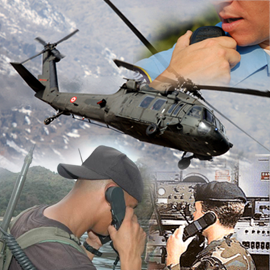 Powered by TCC’s X-NCrypt® End-to-End Cross Network Cryptography technology, our Military and Law Enforcement DSP 9000 and HSE 6000 Voice Security products close the security gap between incompatible radios and telephones, securing voice communication across HF, VHF, UHF and SATCOM frequencies; between Analog, Digital and SDR radios; between Analog, Digital and VoIP telephones; and across radio and telephone networks. The SEAL is ideal for securing Coalition Forces’ tactical communications on Counter-Terrorism operations. TCC announces the introduction of the Cipher X 7210 and Cipher X 7220 Network Security Devices to its Cipher X 7211 Ethernet and IP Encryptor product line. The Cipher X 7210 and the Cipher X 7220 build upon the very successful Cipher X 7211 Ethernet and IP data encryption technology, incorporating Layer 2 Ethernet frame encryption on all Cipher X Network Security Devices, including the Cipher X 7211. This product release also includes IPv6 operation and enhanced support for network redundancy. The Cipher X Network Security Devices are fully interoperable, providing L2/3/4 network security from 100 Mb/s up to 10 Gb/s full duplex encryption. 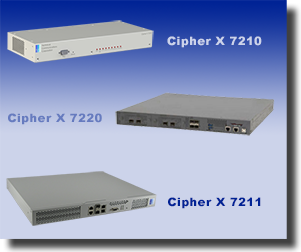 The Cipher X 7220 is the 10 Gb/s model of the TCC Cyber Security Appliances. The Cipher X 7220 brings a higher performance encryption solution to networks that need multi-Gigabit performance. The Cipher X 7220 also hosts an available I/O slot to encrypt other Layer 1 or 2 networks such as SDH or OTN. The Cipher X 7210 is the 100 Mb/s model of the TCC Network Security Appliances, and is ideally suited for applications with low bandwidth requirements such as remote offices. The Cipher X 7211 is the 1 Gb/s model of the TCC Network Security Appliances providing affordable license-based performance levels from 100 Mb/s to 1 Gb/s with one hardware platform. 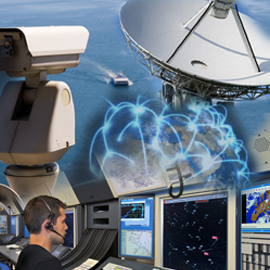 TCC specializes in voice, data and video encryption systems and custom solutions for unique and demanding environments—worldwide.